Social media policy development is still in its infancy and one thing many companies are coming to terms with is how to approach LinkedIn. Instinctively, there’s benefit for both parties but working out how to make it mutually beneficial can be quite challenging. While these are certainly valid, they’re manageable. Employers can directly reap benefit from your presence on LinkedIn. Whether its services or commodities, people like buying from other people. 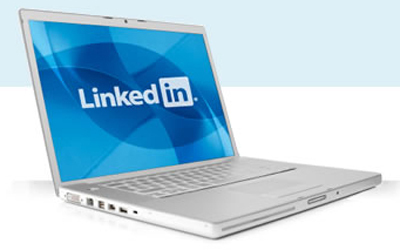 LinkedIn provides a platform for employees to build their credibility as knowledgeable practitioners in their field. This reflects well on the employer and makes both employer and employee more marketable. Of course, social media policy is being written by the employer and will typically be written in the employer’s interests. The profile however, belongs to the employee. The employer has no right or contractual position which allows them to enforce specific content on the profile, with the exception of enforceable contractual requirements about not revealing company or client proprietary information. These existed before social media came along and should still be respected by employees, whether online or offline. Where does this leave you if you’re trying to write policy? The approach I advocate is one where the employer encourages the use of LinkedIn (bearing in mind the potential benefits) and provides guidelines around what makes a “good” LinkedIn profile. Some of this will be common sense – e.g. use a meaningful job title, be specific about what you were responsible for, etc. Some of this may be specific to the employer – e.g. people outside the company won’t understand internal job titles so use something externally meaningful, guidelines around approaching clients asking for recommendations, etc. Ultimately, the policy needs to recognise that the profile belongs to the employee and that the intention of the policy is to encourage positive use of LinkedIn for the mutual benefit of the employer and the employee. Finally, what about employees using LinkedIn to solicit jobs elsewhere? Well, frankly there’s nought that can be done about this. Employees’ decisions with respect to sticking around will be driven by their work environment, not whether or not they can put LinkedIn profiles online. If you want to be an employer of choice, controlling what your employees can do on LinkedIn about soliciting jobs is solving the wrong problem.